I found the photo and questioned the caption. It is legitimate. With Kaiser Willy stomping through Europe and every red blooded American man signing up to go “Over There” a few women stepped forward for some homeland security in WWI. The Great War saw the U.S. Army balloon from 100,000 regulars who were spending most of their time in the Philippines and along the border with Mexico, to a modern fighting force of nearly 3 million– and this from a country that had a population less than a third of what we have today. With so many hardlegs pulled from the fields, factories, police forces and offices, many women stepped forward to do their part for the war effort. While Germany was still an ocean away, very real threats of sabotage by enemy agents and U-boats stalking towns up and down the East Coast led to mobilization of home guards and auxiliary police units. One of the more interesting was the women’s machine gun squad police reserves of New York City. We can’t find out much information about this group but we did find these two images in the National Archives, rocking a Lewis gun and a ton of moxie. 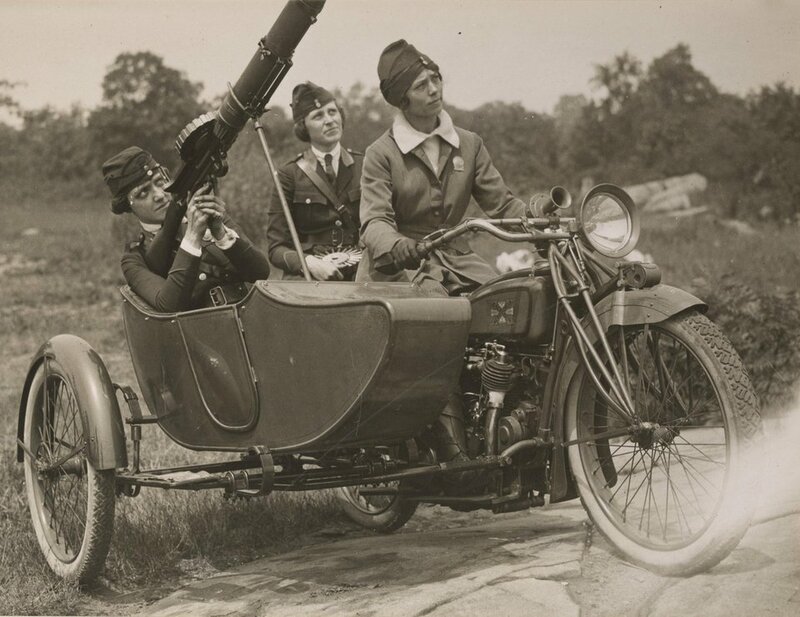 Posted in Cop Stories, Criminal Justice, girls with guns and tagged Lewis gun, motorcycle, NYPD, police women, WWI. Bookmark the permalink.